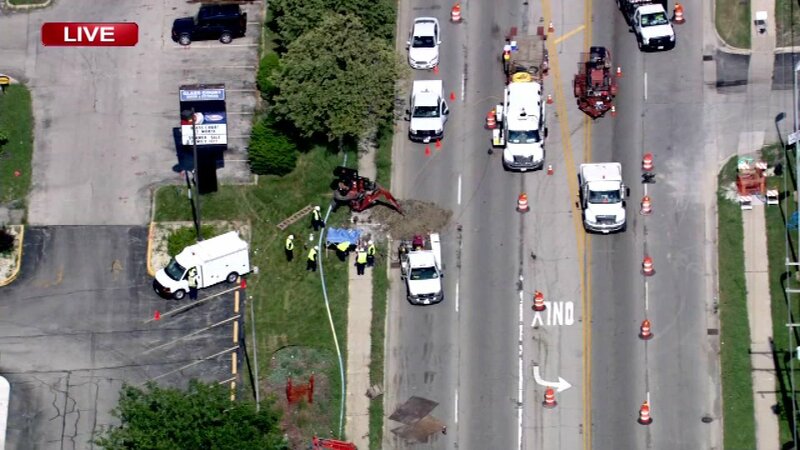 LOMBARD, Ill. (WLS) -- Roosevelt Rd. reopened at 9:30 p.m. after repairs were made following a gas leak. Officials said partial lane closures remain in place due to construction in the area.